Hallowe’en is a time of year often associated with magic, spirituality, and witchcraft. In many religions and cultures, it’s a time to remember and celebrate the dead. For witches, it signals greater access to (and from!) the spiritual world. For some, the idea of spirits and fairy-folk entering the human world can seem pretty spooky, but witchcraft is an empowering practice, especially for women and non-binary folk. Witchcraft is a way to connect with the world around you, to yourself, and to other witches. It’s a way of reclaiming power and agency. It can be a tool to self-soothe, too; something we tend to do more of as we head into winter. Cinema has also harnessed the power of witchcraft, from invoking terror to empowering audiences to offering autumnal comfort food. Here are some of the best witchy films to watch this Hallowe’en. Let’s start with a classic. The Craft is the go-to witchy movie for many people. It’s a film about four high school girls who form a coven, practicing magic to take back power over their own lives. Unfortunately, things start to go a bit wrong when the girls start using their magic to control others. 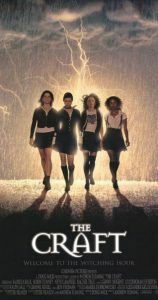 The Craft is considered a cult classic, blending relatable portrayals of discrimination and bullying with female empowerment and tropes around high school dynamics. 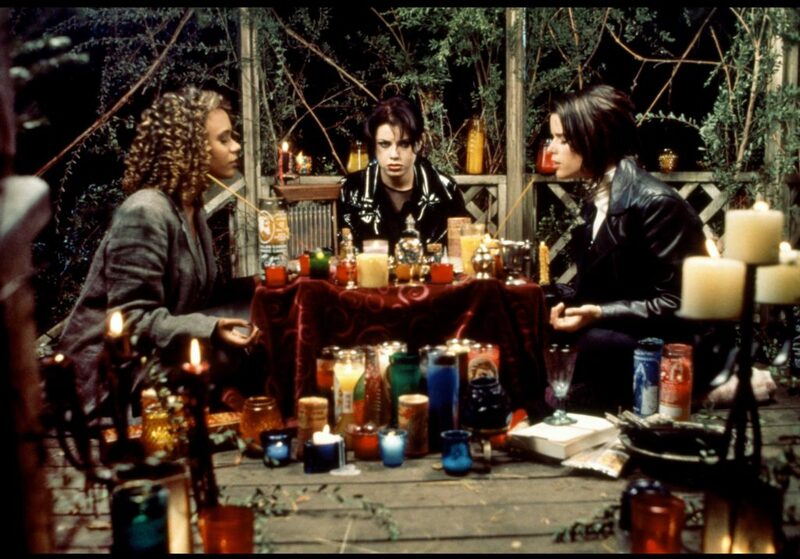 The Craft focuses on Wicca specifically, a type of witchcraft built on a rich and extensive history of paganism. This is coupled with a strong ‘90s goth-lite look to create a witchy aesthetic that young witches can take seriously. The Craft teaches new witches to see magic as a tool and a source of power, but one that needs to be used responsibly. Hocus Pocus was my absolute favorite film as a child, and I still sit down to watch it as an adult. It’s a playful, flamboyant kids’ film about three witches resurrected in Salem, Massachusetts (because, of course) who set out to regain their power and youth by killing all the children in town. Two teens, a kid, a magical cat, and a zombie have to stop them. Honestly, if you haven’t yet seen Hocus Pocus, make time for it this Hallowe’en. 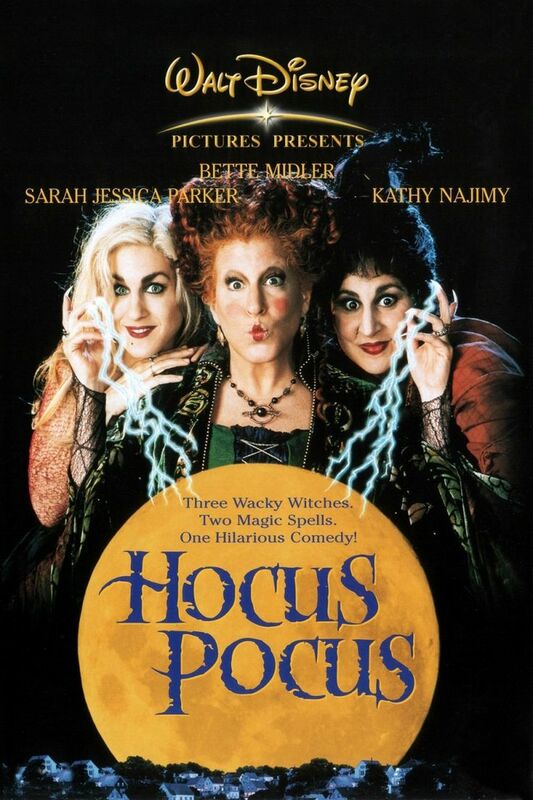 The film features campy ‘90s witch vibes, lots of autumnal leaves and graveyards, and some incredible musical numbers from Bette Midler and Sarah Jessica Parker. This is one of those great films where kids are smarter than the adults, apart from Ice, that is. The film feels a little more serious and melancholy than the television show, which has the advantage of Salem the cat plus unforgettable performances from Caroline Rhea and Beth Broderick as Sabrina’s aunts. Still, the film is likely to get you in a witchy mood, and you can always follow it up with a marathon of the TV show. 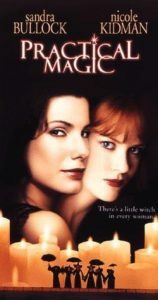 Practical Magic is about two magical sisters whose powers come with a consequence: the men they love die an untimely death. The film follows the two sisters, played by Sandra Bullock and Nicole Kidman, as they try to break the curse and keep their family alive. Practical Magic is about family, love, and control. Whilst the family curse was originally cast as protection from heartbreak, now the sisters must break it by opening themselves up to the fear of being hurt. It’s a cheesy, popcorn flick with some excellent ‘90s looks, ideal for a Hallowe’en in front of the cauldron. Here it is, the sweetest witchy movie out there. Kiki’s Delivery Service is a Studio Ghibli outing that follows a young witch called Kiki as she moves to a new town where she must practise her craft and find her independence. She uses her broom-flying abilities to set up a delivery service. She’s also got a talking cat called Jiji. 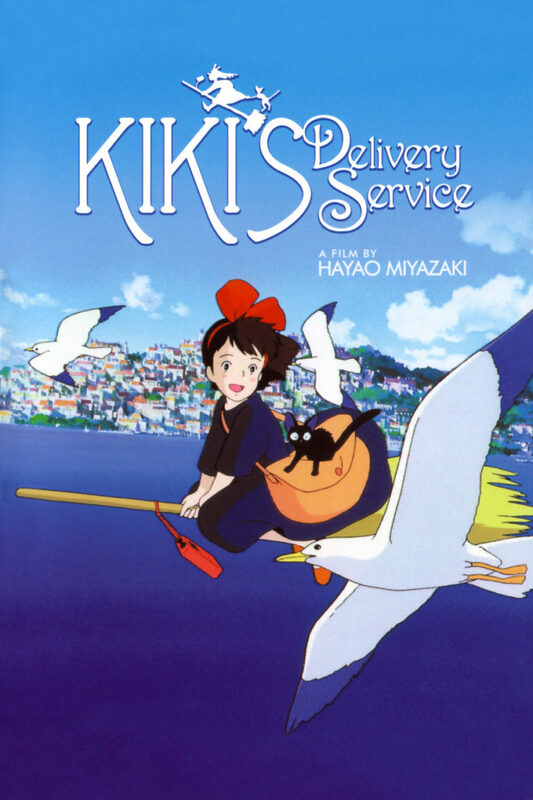 Studio Ghibli is always a winner, and Kiki’s Delivery Service is the ideal movie for a duvet-based Hallowe’en. It’s colourful, chirpy, and slow-moving, so you feel like you’re right next to Kiki as she goes through the trials and successes of finding a new home–and her self-reliance. This film is a charming reminder of the importance of community and perseverance for many witches. Kiki doesn’t need big, showy powers. She’s got heart. I’m going to be honest with you: The Witches freaks me out to this day. The adaptation of the Roald Dahl story is the scariest witchy film I’ve ever seen and granted, I first watched it when I was about seven, but I still think it’s got the spook factor. 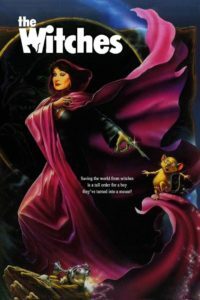 The witches in question are demon creatures disguised as human women, led by the incredible Anjelica Huston. The witches really, really hate kids. They’re also attending a witches’ conference in England. A young boy finds out their secret and then works to get rid of them. Oh, and he gets turned into a mouse. If you watched this film when you were a child (like me), chances are you have very specific memories of it, mostly nightmare fuel. If you’ve never seen this film before, well, you’re in for a Hallowe’en treat! Expect terrifying puppetry and prosthetics courtesy of Jim Henson, an appropriate amount of body horror for a Roald Dahl adaptation, and a whole new way of looking at witches (namely: simultaneously horrific and badass). Like Water For Chocolate is a Mexican film based on the novel of the same name. The film follows a family during the Mexican revolution, focusing on Tita, the youngest daughter. Tita has the magical ability to evoke powerful emotions in others through her cooking. She uses this ability as she fights for her freedom and happiness, which some of her family deny her, in an allegory for the Mexican revolution. Like Water For Chocolate shows us kitchen magic, a form of magic that is often associated with nurturing femininity, as women have historically tended to domestic matters. In particular, women of color are often familiar with kitchen magic and traditional healing, passed down through generations. For women of color, the kitchen is a source of power; in some places around the world, and in most places historically, the kitchen has been the only place of power open to us. The kitchen is accessible and intimate and communal. 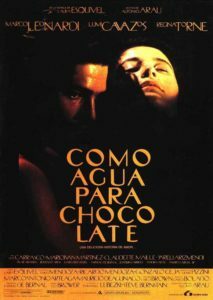 Like Water For Chocolate shows us a magical brown woman empowering herself in the face of oppression, making it my favorite witchy film any time of the year. On-screen witchery takes many forms, from spooky to feminist to extremely campy, and this film most definitely falls in that last category. The Witches of Eastwick stars Cher, Michelle Pfeiffer, and Susan Sarandon as three friends who find out they’re witches. Each witch is courted by Jack Nicholson–until they begin to suspect he’s up to something. 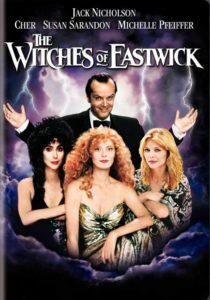 The Witches of Eastwick is a queer favorite, beloved by many for its campiness, cheesy special effects, and Cher’s huge hair. Ultimately, this film is about three women who reject a man for each other so it makes a good companion piece to queer Hallowe’en essentials The Rocky Horror Picture Show and The Addams Family. Anyway, who’s going to pass up Sarandon and Cher in the same film? Unlike the other films on this list, Divine Horsemen: The Living Gods of Haiti isn’t fiction. 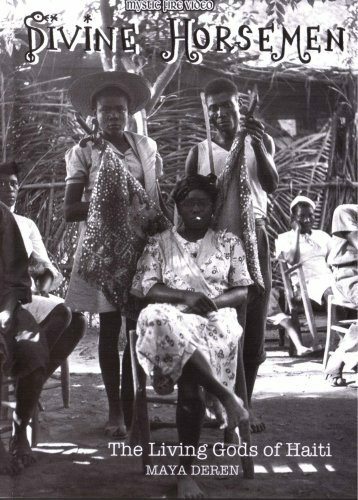 It’s an experimental documentary about dance and possession in Haitian vodou, filmed in the ‘40s and ‘50s. 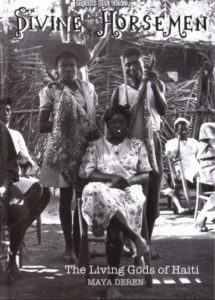 Whilst this film might be harder to get a hold of, it’s an important record of real-life spiritual practices for many people of Haitian descent. Whilst witchy films can remind us of our inner power and the communities to be found in witchcraft and spirituality, it’s also important to recognize how prevalent white faces are in these films. Western cinema still often treats magic from communities of color as an exotic evil to be feared or else vastly misunderstands the subject matter, resulting in racist or clumsy portrayals of traditional practices. Meanwhile, white femme witches get to find family, love, and freedom. Divine Horsemen offers a rare, authentic portrayal of a traditional black spiritual practice, as well as providing a reminder that white, Western witchcraft is not the only kind of magic or spirituality that matters.